For the greatest birthday parties in Minneapolis plan a new type of party! Check out Air Assault Paintball the premiere paintball indoor park in St. Paul Minnesota. Get the ultimate paintball experience indoors all year round. Let Air Assault Paintball host your next birthday party in Minneapolis. Convenient to the Twin Cities our paintball field is a perfect place for birthday parties. Everything your group needs to play paintball is available in packages for rent at our facility including top of the line masks, guns and paintballs. No group is too large or too small to play. Catering is available as well as concessions on-site. Leave your group wanting more and reminiscing on the memories of the birthday party. Be sure to ask about our specials and discounts promotions for birthday groups. Air Assault Paintball birthday parties in Minneapolis are effortless and affordable. The supreme paintball experience has everyone talking about how easy setting up a birthday party at Air Assault Indoor Paintball is. We supply a complete adventure from hiding behind all types of paintball bunkers to off the field fun. Groups may vary in size from two to one hundred players. Regardless of whether some individuals choose to view form the spectating area or play every person in the party is bound to have a great time. Our facility is temperature controlled day in and day out to ensure a comfortable atmosphere for both players and spectators. Both Men and Women can sit back and watch their friends or family bond over shooting each other from our spectator view areas on and off the field. Parties may bring food in food and presents or gifts. 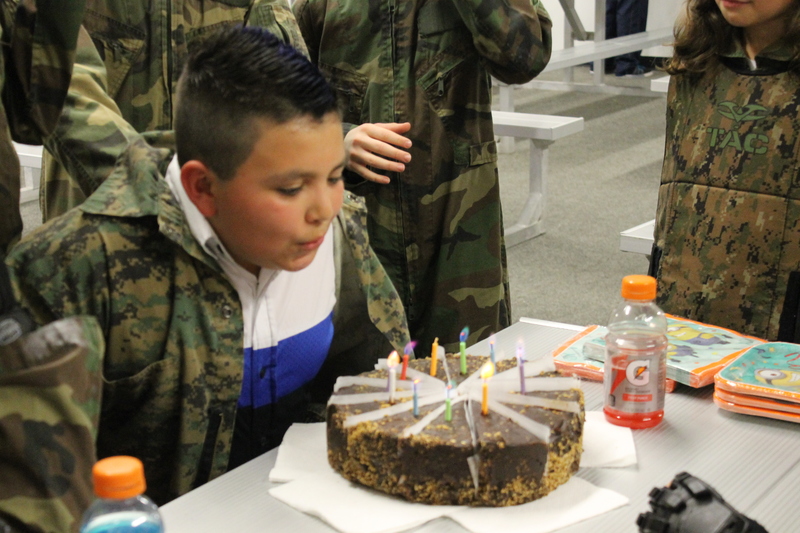 Celebrate a birthday party without the generic party itinerary and play paintball! You will find specific deals and packages designed for b-day parties online and on our specials page. Save time and money today by scheduling in advance for your group. No prior registration is required and walk ins are also welcome. 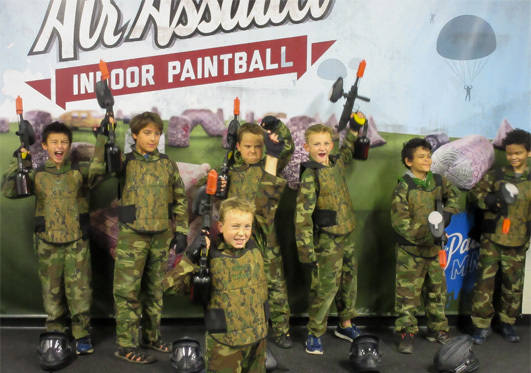 To get the best birthday parties in Minneapolis, Air Assault Paintball is the ideal paintball center. Play paintball today or schedule your party ahead of time by making a reservation online. Play private, reserve a time slot, advanced play times or walking in during our open hours. There is no minimums required to play. Air Assault Paintball is Minnesota’s premiere indoor paintball field. Presenting the best indoor paintball birthday party idea in Twin Cities, Minneapolis. The 30,000 sq ft . facility with an astro-turfed regulation PSP Sup-Air Field is the perfect spot for a b-day party. Air Assault also provides Minnesota’s biggest full service paintball retail outlet with on-site gun repairs. Top paintball brands are always on display from numerous paintball companies. Air Assault Paintball is the north central Planet Eclipse service center. Our location is conveniently located off of HWY 52 and HWY 94 in St. Paul, MN.We accommodate groups as small as 2 player all the way up to over 100 players. Advanced reservations are easy and quick. Book your ultimate paintball birthday parties in Minneapolis now! Please let us answer your questions and call us at 651-222-0300.